Relax a little bit this Easter by preparing a few easy Easter side dishes. 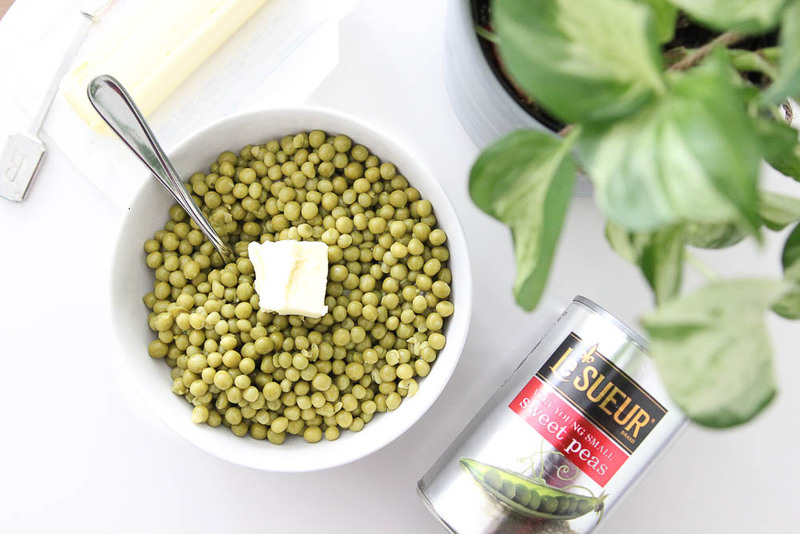 Find out how to dress up canned green peas with a few easy ingredients and you’ll have a fun side dish on the table that everyone will want to eat. You’ll get bonus points for easy prep too! 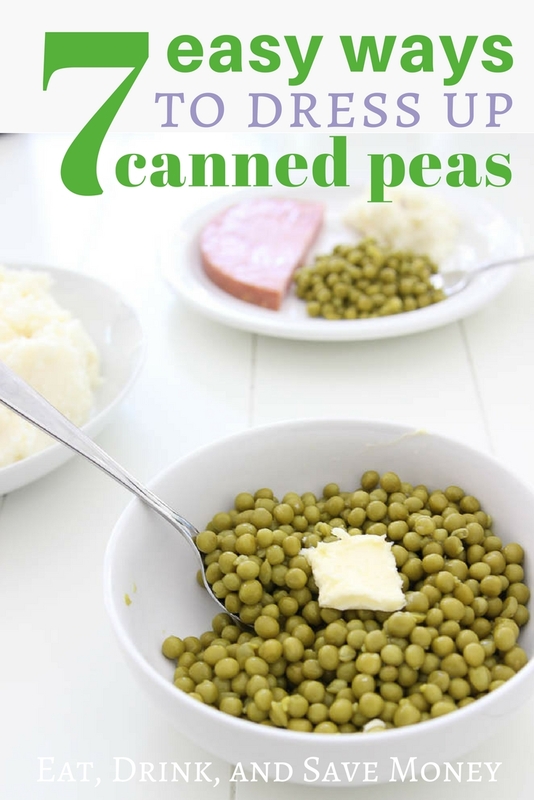 Canned green peas were a staple in my home growing up. 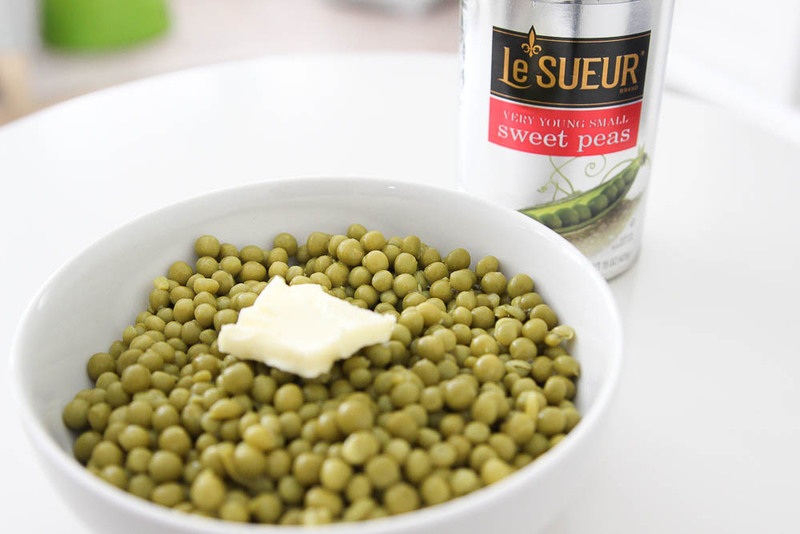 We ate them at least once a week and my mom always bought Le Sueur ® Very Young Small Sweet Peas. It’s a symbol of my childhood. So when I buy peas, I always look for the signature red label too. I’m in the camp that canned peas don’t need to be dressed up to taste good. They taste perfectly fine to me just the way they are. However, on special holidays it’s always fun to add a little flair to the meal. If you are looking for some easy Easter side dishes you’ll love these ideas for how to dress up canned green peas. It’s so simple to add a little pizzazz to your canned green peas. Drain the peas, pour in a microwave save bowl and microwave for 1-2 minutes. Add these delicious mix ins and stir well. This classic is our family favorite. It’s the way I grew up eating peas and it’s the reason my kids love them too. Add one teaspoon of sugar and a pat of butter (1/2 tbsp). Stir well before serving. Another classic spin is butter, salt, and pepper. Add 1/2 of a teaspoon of salt and 1/2 of a teaspoon of pepper with a pat of butter (1/2 tbsp). If you like your green peas spicy, you’ll love these sriracha peas. Add 1-2 teaspoons of sriracha or gochuchang, depending on how spicy you like them. Like it spicy, but also want it a little sweet? A little honey and cajun seasoning dress up canned green peas very well. Add 1/2 tbsp. of honey and 1 teaspoon of cajun seasoning. This is a really fun one! You can keep it super simple by adding 1/4 C. of ranch seasoning. Dress up the canned green peas even more with 2 slices of crumbled bacon, 1/4 C. of diced red onion, and 1/4 C. of shredded cheddar. Get fancy with butter & thyme peas. All you need to do is follow the recipe for sugar and butter peas, then add in 1/4 teaspoon of dried thyme. Add in 1 tablespoon of Italian dressing. Top with grated parmesan. 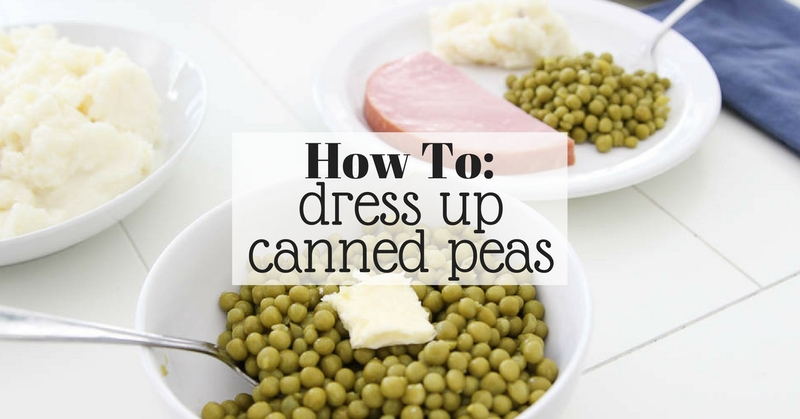 Now that you know how easy it is to dress up canned green peas, you can make them any time, not just for Easter. Make sure to pick up Le Sueur ® Very Young Small Sweet Peas next time you want to make one of these green pea recipes. I love them because they stay firm when cooked. It’s great to have canned peas that hold up when cooking. To learn more about Le Sueur ® Very Young Small Sweet Peas, head to the Facebook page or website. Head here to find out where to buy them. Pea salad. This brand makes the best peas for this. Oh yum! I can’t wait to try this! Yes, they really do make the best peas for recipes.